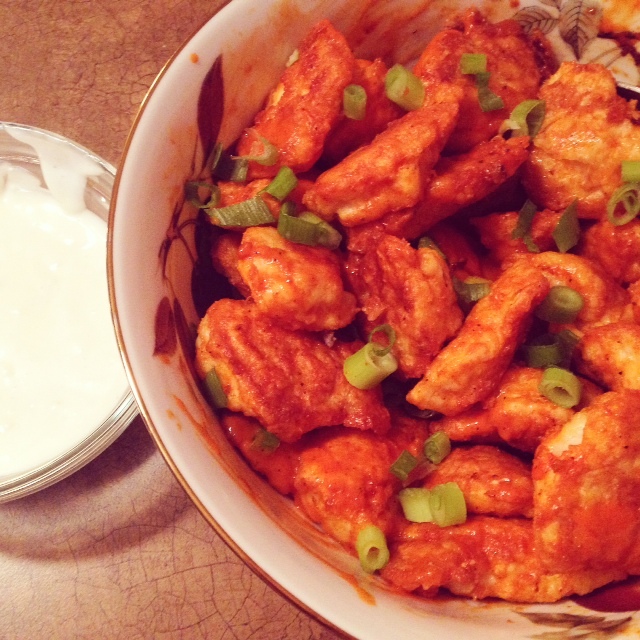 I don’t know about you, but I sure do love Buffalo wings. Unfortunately, they’re not the healthiest of foods, so I decided to make a reduced guilt version. 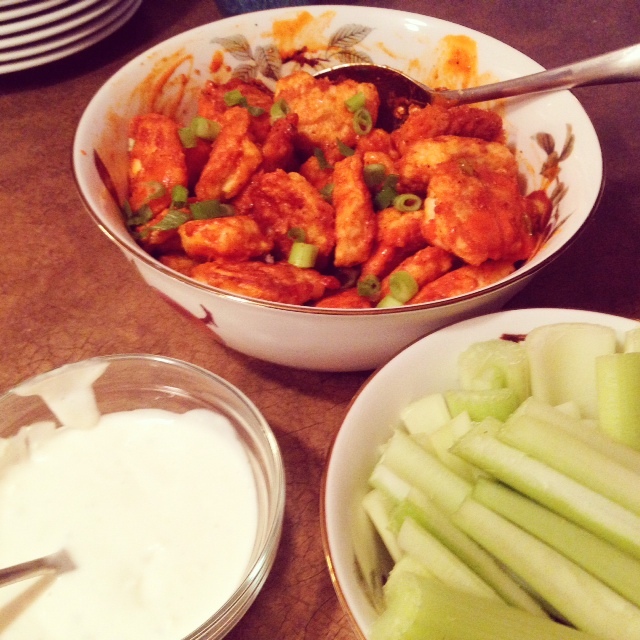 These buffalo chicken bites are made using chicken breast, gluten-free breading and are lightly pan-fried rather than deep-fried to create a crunchy texture. Serve them up with some celery and blue cheese dressing and you feel like you’re eating the real thing! Serves 5-7 as an appetizer. Put the chicken breast pieces in a large Ziplock bag and pour in the corn starch. Shake around to ensure the chicken is coated evenly. Whisk the eggs in a small bowl. Heat 2 tbsp of canola in a non-stick pan on medium-high heat. While the oil is heating, dip the chicken in the egg and then transfer it directly into the hot pan. Cook the chicken on each side for about 2-3 minutes until lightly browned. Repeat this process until all of the chicken is browned. Place the chicken into a baking dish sprayed with non-stick spray and season with a dash of sea salt. 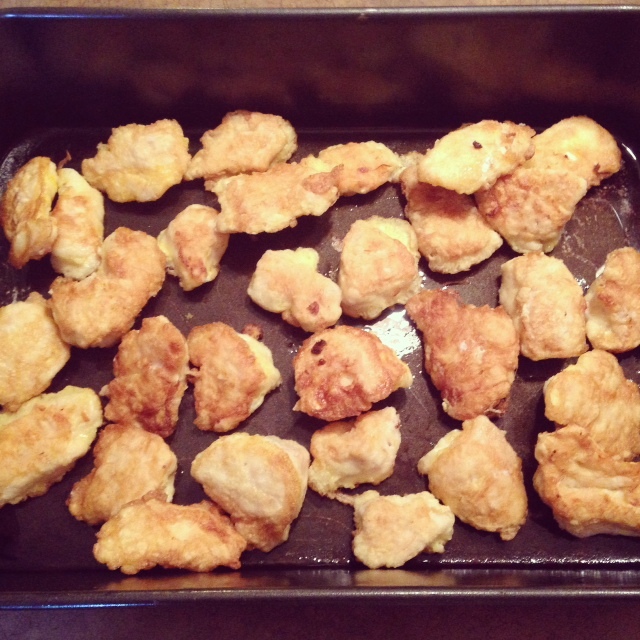 Bake the chicken in a 400 degree oven for 20 minutes, flipping the pieces halfway through. 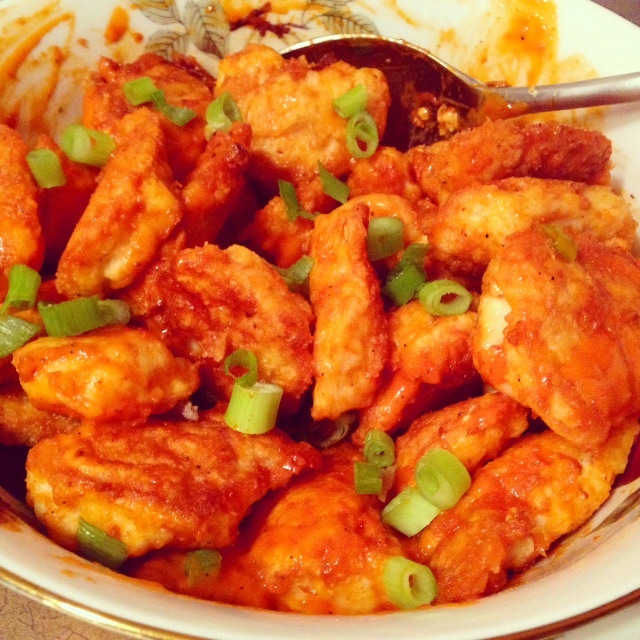 When the chicken is done cooking, toss with the wing sauce and green onion so the pieces are evenly coated. Serve with celery and blue cheese dressing. ← Tangy Thai Beef Salad.